"The Wizard of Oz" Munchkin Karl Slover has died at age 93. 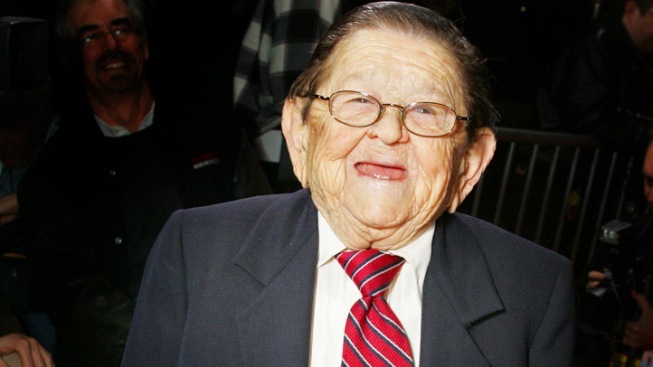 Karl Slover, one of the last remaining munchkins from the film classic "The Wizard of Oz" has died at age 93. Slover's death leaves just three of the 124 "little people" cast for the 1939 classic. He died of cardiopulmonary arrest in an Atlanta-area hospital. Friends said that as recently as last week, Slover appeared at events in the Chicago area. He was a mainstay at festivals related to the film, John Fricke, author of "100 Years of Oz," told "Today." "He has a genuine immortality," Fricke said. "Of the 124 little people, he's one of the handful who got to enjoy this latter-day fame, to have people know who he was and be able to pick him out of the crowd in the movie." Slover was born Karl Kosiczky in what is now the Czech Republic and he was the only child in his family to be dwarf sized. His father tried all kinds of bizarre methods to get him to grow, including burying him in the backyard and attaching him to a stretching machine. His father eventually sold the boy to a traveling show when he was just 9. For his big break in the enduring classic movie, Slover earned $50 a week. He often said that was less than the paycheck picked up by Toto, Dorothy's dog.